What is antibacterial treatment and why do I need it? Your vehicle is a breeding ground for the germs and bacteria breathed out by you and your passengers. These collect in your air conditioning evaporator matrix, multiply and are then blown back out at a later date. As we have suffered so many times when forgetting to wear a face mask in customer vehicles, we believe that this treatment is something that you should do to keep yourself and your passengers healthy. This is even more important where older people, young children & people with health issues are concerned. If you and your family repeatedly get colds, sore throats similar it is likely to be triggered by an unhealthy air conditioning system recycling the bacteria. 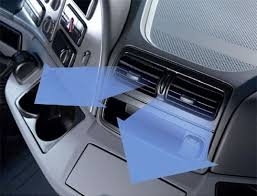 Here at GT Vehicle Services we use an atom ultrasonic nebuliser to kill the bacteria within your heater system and cab. Meaning a healthier environment for you and your passengers.